The conglomerate’s potential acquisition of Rockwell Collins should deliver enough cost savings to justify paying a reported $23 billion. Greater size also promises increased negotiating heft with Boeing and Airbus. Investors have good reason to clear this deal for takeoff. 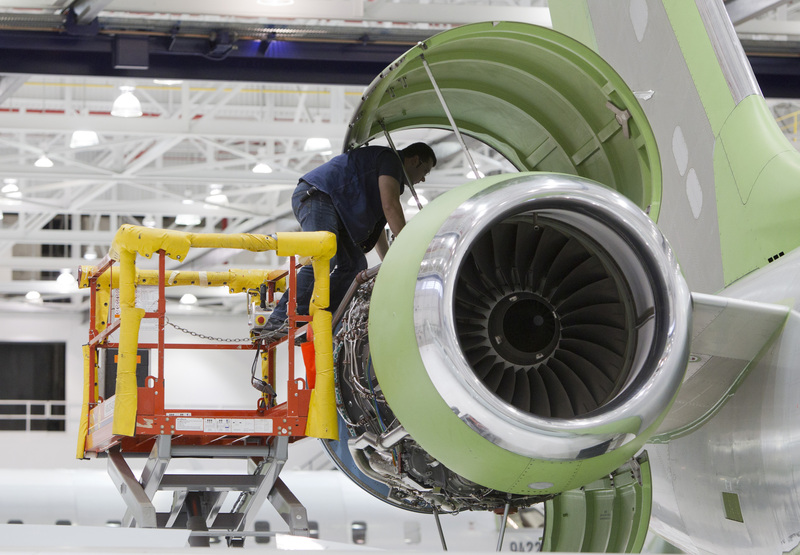 A worker looks at an engine on a Bombardier Global 5000 jet as its being assembled at the Bombardier aircraft manufacturing facility in Toronto, November 25, 2010. United Technologies is close to agreeing terms of an acquisition of Rockwell Collins and could announce a deal as early as next week, Reuters reported, citing a person familiar with the talks. The Wall Street Journal reported on Aug. 29 that the two companies were discussing a price of $140 or less for each share of Rockwell Collins. An offer of $140 per share would value the aerospace company at just under $23 billion, based on shares outstanding. Rockwell Collins stock was up slightly at $130.90 in midday trading. Shares in United Technologies were fractionally lower at $118.69.